Many people worry about their retirement fund, mostly they are concerned they won’t have enough money to retire on comfortably. In some cases they even worry they will have too much and the tax man will take a big slice (current maximum UK lifetime pension fund size is only £1 million, above that high taxes will become payable). In addition there is lots of unhelpful advice around about the recommended size of your retirement fund and income. Most common advice is that you should aim for an income that is 70% of your final salary at retirement, but sometimes even higher percentages are quoted. We would suggest that the best way to look at retirement income is to consider what your expected costs will be. 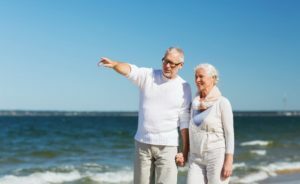 After all, everybody has different dreams and plans of how to spend their retired years, somebody who likes to go ocean yacht sailing will have much bigger costs than the person who likes to go bird watching at his local park! So the starting point would be to create a budget of all the possible, known costs. If you are still working your existing costs would be a good place to start, however many costs will change in retirement. Reduced traveling expenses might be expected in retirement but, then again, your dentistry and other health care costs might go up considerably. Usually, your partner, if you have one, would also be an important part of this exercise. It’s also worth pointing out that many people are continuing to work after they “retire”. Some people decide to use their new found freedom to develop a completely new career or even start a business. The new income may be much smaller so, again, all expected costs and incomes need to be considered. You will find it almost impossible to estimate all of your costs so don’t forget to build in an allowance for unexpected costs, say an additional 20%, although this percentage very much depends on how accurate you think your original budget is. Let’s imagine that you estimate your annual costs to be 30,000 (it doesn’t matter if it is GBP, Euro or USD), the next step is to look at what retirement income you already expect to receive. Of course, if you have retired early, then you may not be due anything at all for several years yet! Otherwise your pension income might consists of government, previous employer schemes and/or your own pension plans, never mind, just add them all together! If the total is more than 30,000 then congratulations, you retirement income is already higher than your expected costs! However, don’t be too happy, inflation might eat away at that income if you don’t have cost of living rises built into your retirement income! 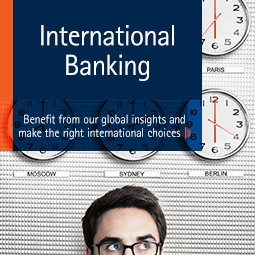 Reduce retirement costs – sadly some of those dreams might have to go. Increase retirement income – this usually means saving more money into your pension during your working years or continuing to work, at least part time, during your retirement but this depends on having good health. Usually a bit of both! To provide an income to cover ALL of the 30,000 (assuming zero pension incomes from other sources) one can use a rule of thumb which says multiply this by 25 times = 750,000. Assuming a relatively cautious investment return on that money of, say 4%, neatly provides 30,000 per annum (BEFORE TAXES). In your later years you could even spend some of the 750,000 capital but take care, you might live longer than you expect! Obviously if you do have any expected pension income from other sources, as described above, then you will be able to reduce this number. This article is only a very brief introduction to the subject and is not intended to be guidance in any way. Although the subject is not complicated, we find that our clients value an objective and professional view from one of our qualified financial consultants. 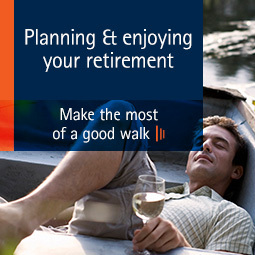 Why not get in touch for an informal, no cost, chat, and see if we can help you reach your retirement dreams!